Apart from solid corporate experience and deep domain expertise in our respective areas, our team has the four ingredients necessary for a high-growth company: Guts, Heart, Smarts and Luck. Check out the details of our team members below, and also follow/connect to them on social media. Pranay is a co-founder with international experience in Communication Service Provider domain having worked at America Online, AT&T, SBC, British Telecom, TechMahindra, Infosys, amongst others. He has worked in cities like Chicago, Columbus, Pune, Bangalore before he finally settled in Mumbai and co-founded Intellibuzz. He looks after the strategy, business planning, sales, marketing, channel management and other initiatives like Research & Innovation, product strategy and more. Initially joined as advisor, he now takes care of the technology behind Intellibuzz recommendation engines, cost optimisation, robo advisory. Sandipan Chattopadhyay is the tech brain behind MoneyControl.com and Justdial’s digital expansion. As CTO, he scaled Justdial from 30,000 calls/day to 4.8 million user queries/day in seven years. His love for statistics and his madness has led him to do things he wouldn’t have imagined earlier. PVikram comes with a strong expertise and exposure to cutting edge frameworks in Artificial Intelligence, Machine Learning. 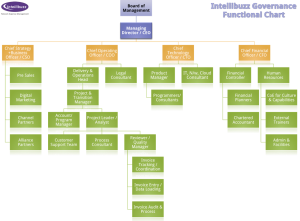 At Intellibuzz he comes in as as a Principal Consultant / Data Scientist, VP – Engineering / Sr. Solutions Architect all rolled into one, he is a qualified (MS & BE) Technocrat, with strong Academic record and a dynamic IT Professional having rich and insightful experience of over 14 years, including over 5 years of International (USA, Germany, Israel, Finland) tenure. He also helps the team with IT, Strategy Planning, New Projects & Initiatives, Systems conceptualization & Implementation. Sumit comes with a rich reporting, database and project management experience working on business processes of international clients like JP Morgan, etc. His panache for detail and execution for delivery earns him high accolades all over. His role here is to make sure of timely deliveries, leading group of projects and managing overall operations. A quick learner he is intensely focused on quality and detail. Steve as we like to call him, is a product & mobile tech expert. He also dabbles into Cryptocurrencies, journalism and machine learning. At Intellibuzz he has created important tools and product for internal usage and consumer facing frontiers. Steve is usually the first go-to guy that Intellibuzz relies on for his quick churning out of the MVPs, sketching UI/UX and translating the business requirements to a product shape. Gaurang has been a SEO expert, tech enthusiast, programmer, developer and ninja since 4+ years working on the various products & tech-based initiatives of the company. His command on search engine & social media is solid and proven. Previous to Intellibuzz he has served various clients in his capacity as a freelance developer, right from his days in his engineering college in Mumbai. Founder of the parent company Intellibuzz Telecom in 2001, Haren Sanghavi led a small team in Mumbai from a small office to expand up to 9 sites in Mumbai with over 7000 market-area customers. He has a rich domain experience and presides over Intellibuzz TEM Pvt. Ltd. as advisory providing mentorship, guidance cost management strategies, and general direction. He oversees risk management and general financial structure. He has toured Europe, UAE and consulted various telecom startups, exited from few of his projects and now lives in Mumbai. Sauvik Banerjjee was a professional cricketer who represented Bengal in the Ranji Trophy before turning into a techie, an entrepreneur, and an architect. He led the team at SAP responsible for the architecting Reliance Jio. In his over 20 years of professional life, he has been a part of over 150 digital product and platform implementations. He is currently focused on omni-channel, deep learning, machine learning, NLP (Natural Language Processing) and innovations in IoT and Industrial IoT. Shalin runs SPYRL Ventures invests in fintech, IIoT and some healthcare. In his own words, he last led Piramal Realty’s $400M fundraise from Goldman Sachs and Warburg Pincus and was a founding member of the Group’s 3 man team, IndUS Growth Partners in charge of deploying the $4 billion on PEL’s balance sheet. He was a cofounder of a startup that developed a non-invasive intracranial pressure monitor with two neurosurgeons which exposed him to angel investing in Coinbase, Zoomcar, Jugnoo and Sendhub.